At the end of February, while walking the dog, I got a call from Louise Stoddard a producer for the Earth Beat Programme on Radio Netherlands Worldwide. She was interested to hear about ColaLife – Louise had heard about us through our friends at Africa Gathering. 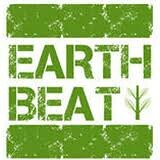 Our thanks go to the team at Earth Beat. These things always throw up useful contacts who help us move ColaLife forward.